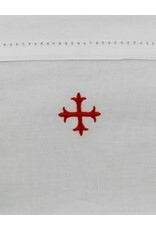 Home / 100% Cotton Corporal with Red Cross 20" x 20"
100% Pure Cotton in a linen weave. A fabric that still has the ability to absorb very well. 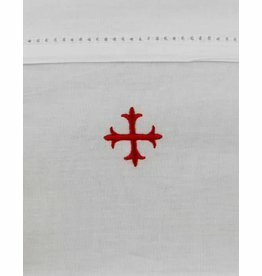 Hem stitched and a delicate Embroidered Greek cross in Red. This fabric gets softer and more absorbent with each wash. The texture of the fabric protects the Sacred Vessels and cleans it without streaks. Very strong and can handle machine wash. This is one of the best fabrics for the modern church. 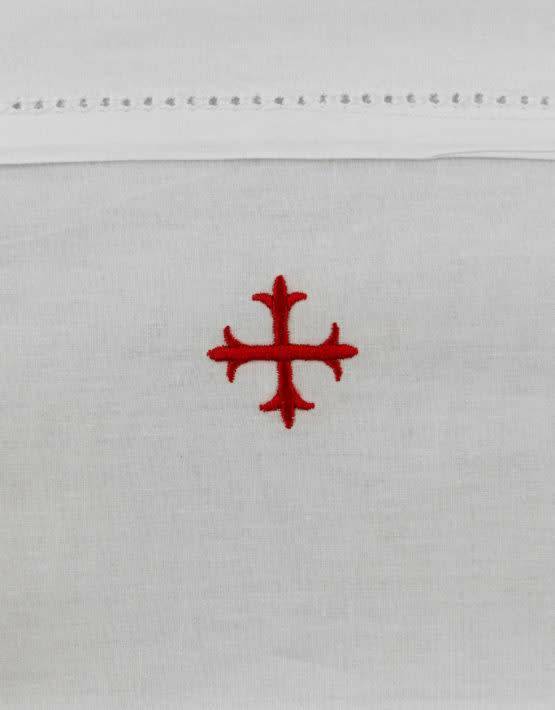 This design is available in White Cross embroidery as well (#H100R). mds – We actually have made our own shirts and clothing for over 5 decades. So we are able to make sure the right materials are used and the right quality is made. It’s not just price, it’s the whole package. Custom sizes available.